Annual willow cutting is scheduled for the Millennium Green this month. Please bring your loppers! Anybody is welcome, so please come along with your family and friends, if you can. Weavers, sculptors and gardeners may enjoy experimenting with cut willow branches. 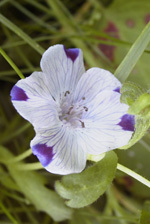 The Millennium Green AGM in April is open to the public. We encourage you to share suggestions and comments with the Trustees at this time. 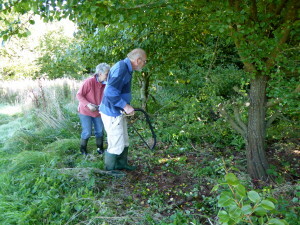 Re-seeding the wild flowers. In 2013, Mr. Olly White’s Class 2 pupils from Thorverton Primary School gathered in the Millennium Green to reseed the wild flower area. Over 23 students watched Gillian Bathe mix native seeds and butterfly-attracting seeds with sand and explain how to rake and then broadcast the them over the planting area. The students listened attentively, flinging and raking with great gusto. 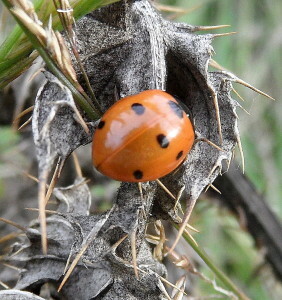 In a month or two, they returned to the site to see which seeds have flourished. 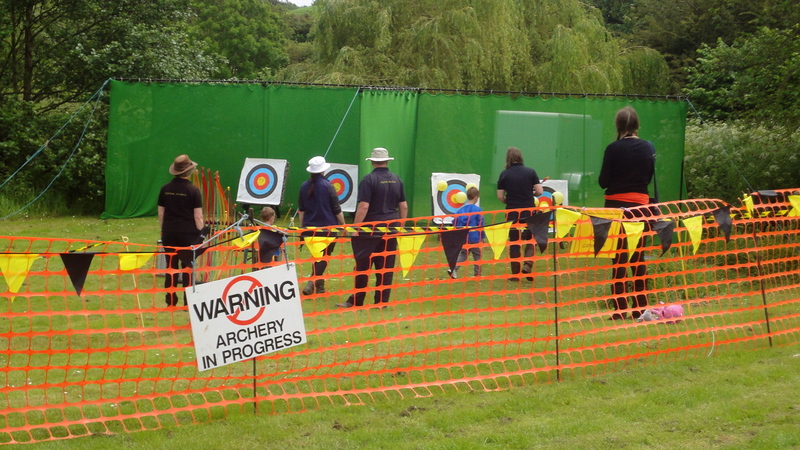 Archery on the Millennium Green. 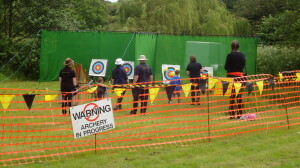 Family Fun Day takes place on both the Memorial Hall grounds and the Millennium Green. There is hot and cold food and a bar. Entertainment include includes such activities as live music and singing, a children’s dance workshop, homecrafts competition, stalls, bouncy castle, duck fishing, coconut shy, Kirton archers and a climbing wall plus a dog show and dog hurdling (open entry), skittles and welly wanging. Free entry, most activities are ₤1. Thorverton School Art and Nature Event was organized for the Thorverton Primary School children. 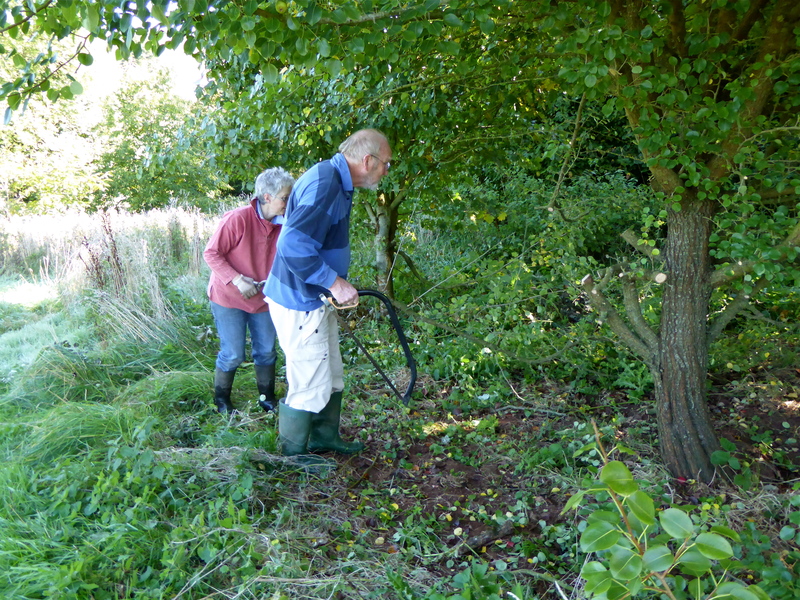 With the assistance of Jennie Garne, Thorverton’s resident naturalist, moths, beetles, butterflies and two types of larva were identified along with a mature grass snake. Paintings and drawings by the children were the culmination of this event. 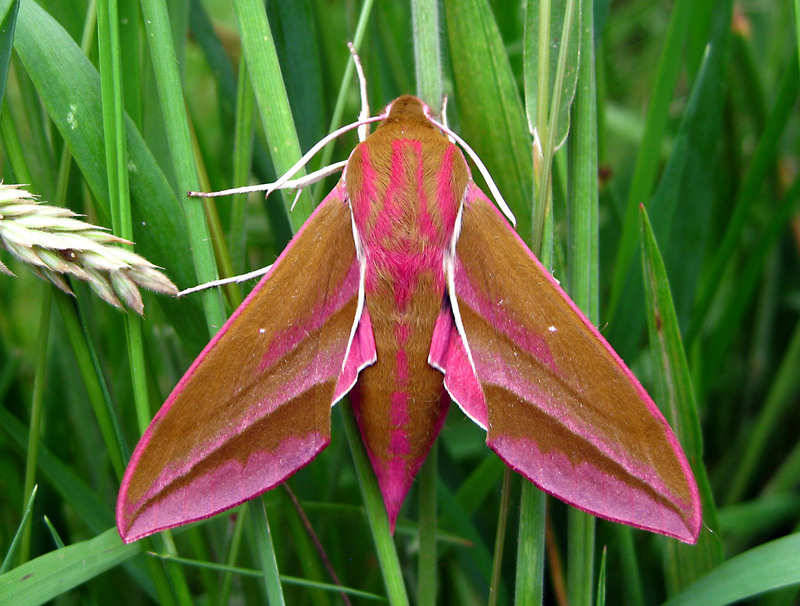 Two Elephant Hawkmoths were the highlight of this year’s moth trapping on 25 July, 2015. Eighty moths were recorded and 37 different species. 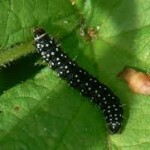 Seventeen new species were added to the list of Lepidoptera found at the Millennium Green. “Tiger Hunt at Thorverton Millennium Green” in August is a search for what hides in the grass, bushes and trees. 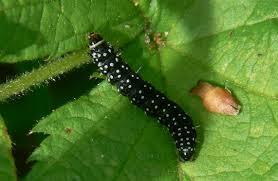 We’re looking for tiger moths, caterpillars, beetles, spiders, butterflies and more. Free cakes and soft drinks available. Everyone welcome. 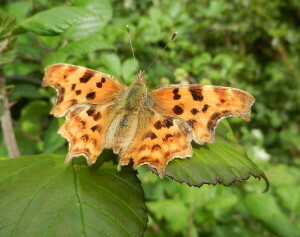 Be part of Butterfly Conservation’s Big Butterfly Count and Moth Night in association with Atropos and Butterfly Conservation. Anyone who cares about the Millennium Green is invite to join the work detail a every 4th Saturday of the month. 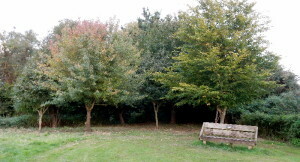 Nettles and low-hanging branches are frequent “casualties” resulting in more well-manicured seating and viewing areas as seen on the left. 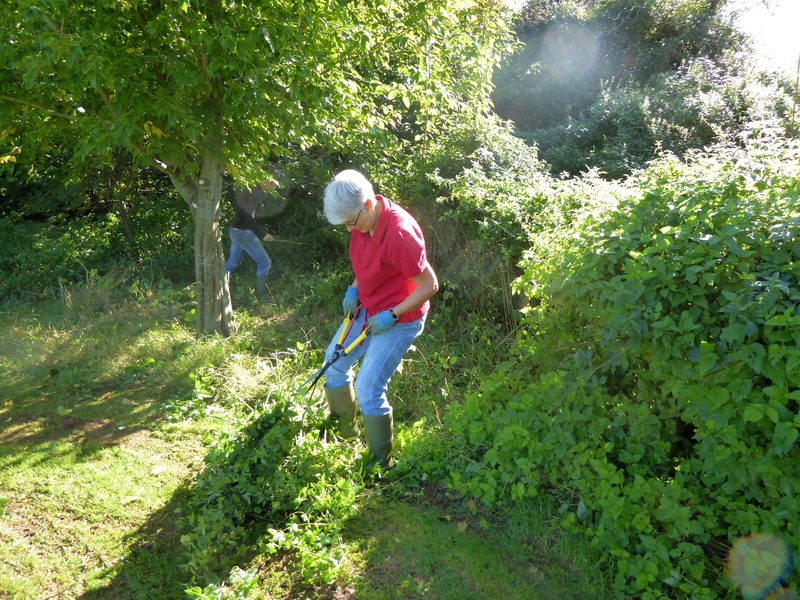 Bring your secateurs and a lunch for about 1-2 hours of work. Events that do not require closing any part of the Green for access by the public and which are appropriate are usually welcome. The Trustees need to be consulted because they are responsible for safety of others and assessment of appropriateness. The Trustees can occasionally give permission for Events requiring exclusion of the public from part of the Green (but not the public footpath) particularly if they are in some way of advantage to the Green. Please use the email form on this site to contact the trustees. The appropriate person will respond to you for further discussion of your request. contact.